Brianna Wright has ventured to the Bell River Ranch to make peace with her sister. With enough time here in Colorado, Bree might accomplish that goal and forget the mess of her business back in Boston. Of course, none of that will happen if she lets herself get distracted by a certain gorgeous and charming cowboy—Grayson Harper. Really, resisting a guy as carefree as him should be easy for someone as responsible as her. But it’s clear Gray has his sights set on her and his determination is stronger than Bree thought! 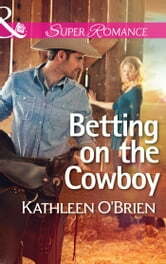 As they work together on the ranch, she realizes there’s more to Gray than his footloose facade suggests. If that’s true, he just might win her over!